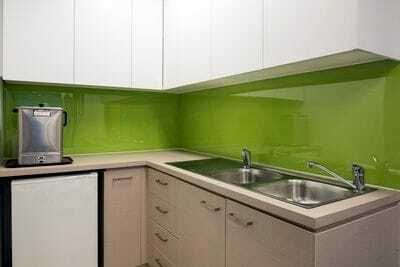 Splashbacks, Bathroom, Kitchen Reveals - ISPS Innovations. When watching shows like The Block, House Rules, Better Homes and Gardens it is inspiring and pure wow to know what is available to you. 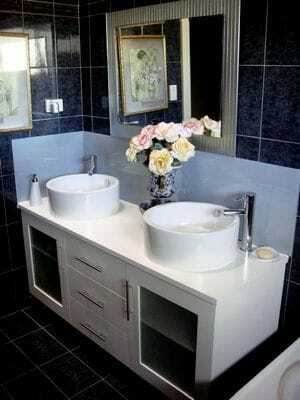 Ask your self this..
Do you require changes in your home to enhance beauty, colour and presence? Do you wish to add further value to your property with a few simple changes that won't blow the budget where you have the option of choosing your colour scheme? Do you have a pre-existing kitchen or bathroom, love the layout but require modifications to your interiors and need a colour change or face lift? If you answered yes, keep reading. ISPS Innovations have the solution. Why throw away a perfectly viable kitchen, bathroom or laundry into landfill when you can restore, repair or add to the existing layout. ISPS Innovations even make fire place frames, so no limits. At ISPS Innovations we produce hand made CulourTek benchtops in any colour combination, toughened glass, innovative IPA acrylic splashbacks, Bonethane® polymer wall panels in any colour, ISPS EFX & digital Print. 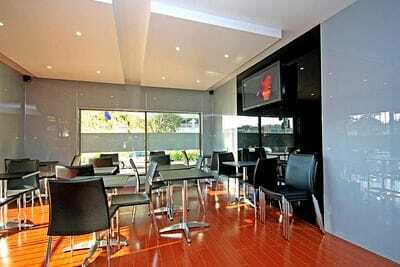 See at ISPS colour matters and it is a critical part of our business. 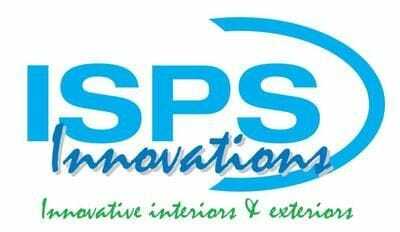 ISPS Innovations is pioneering coloured solutions with no limits on our entire range for new and resurfacing. About our standards and quality. Coloured Solutions with ISPS Innovations. What is GRIPTEK? GripTek is applied to the backs of Bonethane® and IPA Acrylic Sheets and Panels. GripTek eliminates: Coating wall a neutral colour, colour fading, colour lifting. Allows the removal of our polymer sheets from the wall without breaking the polymer sheet and prevents silicone bleeding from the reactions of neutral cure silicone when mounted to the wall. GripTek backing technology makes our polymer products 100% waterproof, preventing delamination, locking in colour. Our superior polymer range IPA Acrylic sheets and Bonethane® wall panels come with GRIPTEK superior backing. 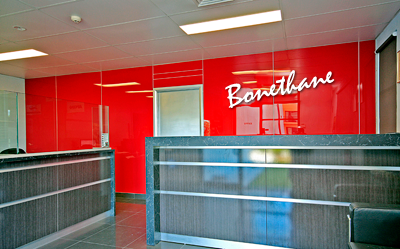 Bonethane® a high heat polymer splashback and wall panel available cut to size or sheet size. Bonethane® self- extinguishes when the ignition source is removed unlike Acrylic (PMMA) which is highly flammable. Acrylic sheets promote further burning after ignition source is removed where as Bonethane® fizzles out. Available in any colour, colour combination, digital print with GripTek backing. Can be cut on site, available in sheet size or cut to size. Bonethane® is suitable for kitchens, bathrooms, laundries, outdoors and commercial developments. Bonethane® is not suitable for gas hob where 200mm clearance is not accessible but can be placed behind induction cook tops. ISPS use toughened glass for gas hobs. On a gyprock wall Bonethane can be drilled into after being placed on the wall, allowing for additional power outlets and rails. 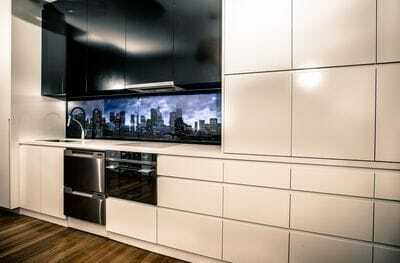 Bonethane® Splashbacks and Wall Panels is a safe and decorative option for residential and commercial spaces. Available in any colour or colour combination, EFX or specified high- quality digital print, making Bonethane® ideal for feature walls and a range of other applications used indoors and out. ISPS Innovations turns ordinary into extraordinary, providing elevated excellence in colour face technology and printed splashbacks that carry the Australia Made logo. ISPS Innovations innovative and decorative technologies are ideal for domestic or commercial requirements which have become over the years the proven quality and accepted colour-back glass alternative for architectural and designer developments where splashbacks and wall panels are required but do not necessarily need to be glass, which is heavy & may not be suitable for commercial developments. 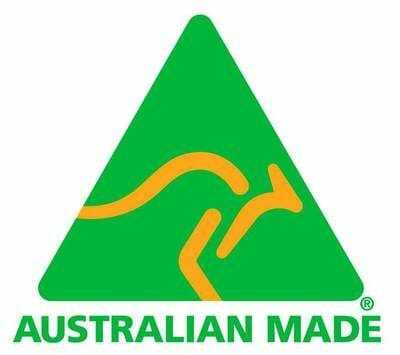 ISPS Innovations pride ourselves on the use of quality Australian Standard building substrates with our connection with CSR Viridian & Borgs manufacturing using Polytec board coupled with our superior robust colour technology brings our innovation full circle. 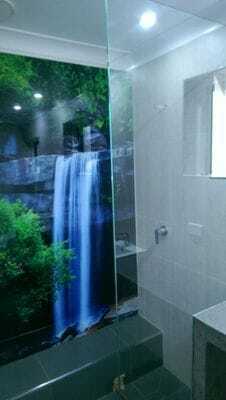 IPA Acrylic Marker Boards & IPA Acrylic Sheets and Splashbacks are a versatile surfacing material that can be used for a range of applications including marker boards, projector screens, feature wall panels used in showers, foyers, kitchens, bathrooms, laundries. These durable, chemical-resistant surfaces are a lightweight alternative to glass and can add a professional finish to any domestic or work workspace project. This material can be written on with water-based markers and is easy to clean and maintain. IPA Acrylic Sheets can be cut, shaped and mounted on site and is available in any colour or high-resolution digital print. IPA Acrylic marker boards and projector screens are widely used in school, government and commercial projects due to the flexibility and durability of these surfaces. Feature and Benefits IPA Acrylic Sheets, IPA Acrylic Splashbacks, IPA Acrylic Marker Boards & Projector Screens. ISPS colour choices leave you breathless with 143 unlimited colour palette or choose custom coloured options, using GripTek technology to lock in colours and create a 100% waterproof surface. 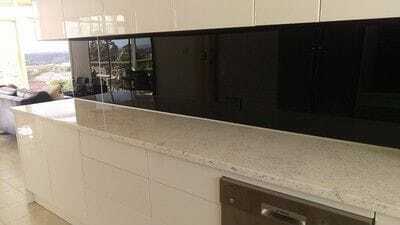 IPA Acrylic splashbacks by ISPS Innovations convey any classic or contemporary period in elegance to kitchens, bathrooms & laundry spaces for both residential and commercial developments. ISPS Innovations routinely use superior, hard-wearing acrylic with visual colour quality transparency and supported with GipTek backing formulae. IPA Acrylic splashbacks look like glass and install faster than both glass and tiles, having the advantage over alternate splashback products, our range of acrylic splashbacks & wall panels are the idyllic solution for architects, designers, builders & DIY devotees who need a sophisticated, superior finish without the cost and densities that may arise with glass and tile products. 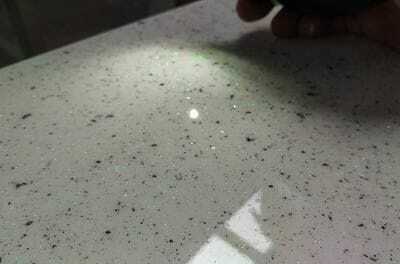 CulourTek Creations is a versatile handmade colour surfacing solution for benchtops and joinery. ISPS Innovations create grain EFX stone flick, timber, stone and marble looks paired with modern straight lines, continuous lengths and right angles in satin, textured or high gloss finish. 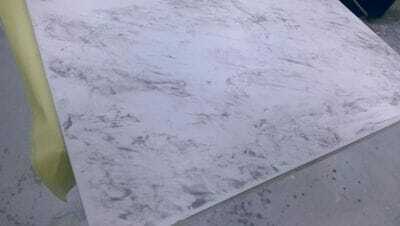 The surfaces are available with options for waterfall edges and no joins for benchtops in critical places. Applications for CulourTek Creations include both vertical and horizontal surfaces in kitchens, restaurants, offices, schools, laundries, bathrooms, outdoors and more, with finishes including satin, semi-gloss, high-gloss and textured. With New or Resurfacing options, CulourTek makes the issues with landfill a primary focus for our establishment. Architects and Designers can take their vision to the next level with CulourTek Creations benchtops and joinery by ISPS Innovations. Seamlessly match colour scheme to ISPS polymer and glass splashbacks for kitchens, bathrooms, laundries and commercial projects. Resurfacing technology is unmatched in colour and depth. 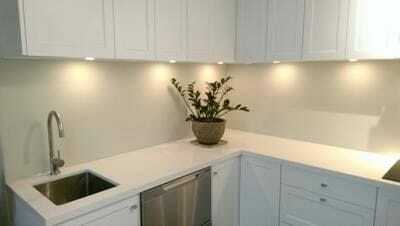 www.ispsinnovations.com.au National Delivery Ph 08 8381 8880 ISPS Innovations supply our colourback splashbacks nationally to Sydney, Melbourne, Adelaide, Brisbane, ACT, Darwin, Tasmainia, Perth, North Geelong, Gold Coast, Cairns, Central Coast, and country areas.